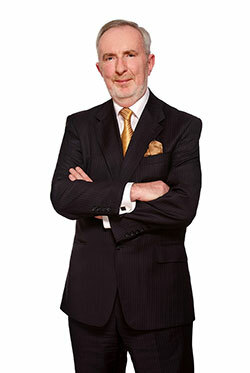 Colin Parker FCA is an acknowledged expert in financial reporting, auditing and corporate governance. He is a member of the Australian Accounting Standards Board. On 1 July 2003 he formed the consulting practice GAAP Consulting (‘Excellence in Financial Reporting’) to provide independent financial reporting solutions. These solutions reduce risk by: independent expert advice; representation assistance; publication and e-mail update services; and tailor-made training. Our clients include ANZ Bank Ltd, AWB Ltd, Telstra Ltd, Australia Post, WHK Group Ltd, LeasePlan Australia, Medibank Private, Victorian and NSW Audit Offices, the Australian Government Solicitor, number of statutory authorities, accounting and legal firms, CPA Australia, The Institute of Chartered Accountants in Australia, National Institute of Accountants, ATO and ASIC. The majority of the client engagements relate to accounting analysis, litigation support, advice and training on the GAAP and GAAS. Many of you will know Colin as he was previously the Director – Accounting & Audit with CPA Australia, and though his newsletters GAAP Alert and e-GAAP Updates, nine books on accounting standards, auditing checklists and over 200 published articles.